Here's a look at some recent movies. And books, maybe. If I get around to it. 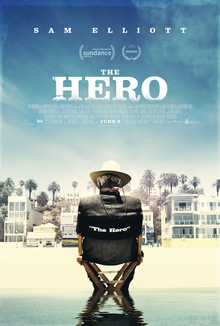 I'm a huge Sam Elliott fan, so it stands to reason I would like this film about an aging actor facing his mortality. And Elliott delivers a strong performance, surely worthy of an Oscar if there's any justice. Laura Prepon of "That 70s Show" fame puts in a creditable account as Elliott's unlikely love interest. This is not the movie for you if you're looking for thrills and chills -- it's a movie for those who like quiet, understated stories about people. If you like Francois Truffaut films from the 60s, this ought to appeal. 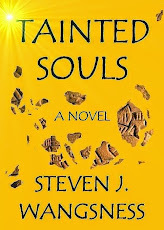 I liked it all the way to the end, which came on rather abruptly and left me feeling I hadn't arrive at my destination. Still worth the journey, but when it's over you may feel like you still have to walk the last few miles to get where you're going. 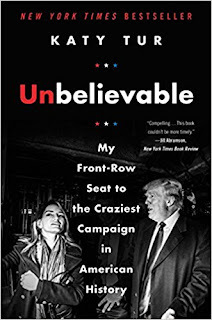 NBC correspondent Katy Tur's memoir of the insane 2016 Trump campaign, which she followed from day one, is alternately amusing and maddening -- it's about Trump, after all -- but always compelling. She chronicles the wild trip that was the Trump campaign, vividly recreating the whole, yes, unbelievable phenomenon. Along the way, we're reminded again and again just how unperturbed Trump's acolytes were to the serial lies and misdemeanors of their candidate, how Trump withstood with nary a scratch innumerable assaults and exposes that would have killed the campaign of any normal politician. Don't look for deep analysis here; that's not Tur's purpose. Just go along for the scariest ride this side of the Kingda Ka roller coaster at Six Flags. I'll be honest. 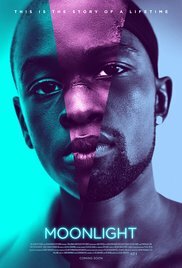 I did not expect to like this movie. I thought it'd be a lot like TV's "24" or -- what's that one with Claire Danes? -- "Homeland." Hyperpatriotism, that is. There's a tad of that, and after all, why not? But mostly it's the stories of people affected by the Boston Marathon bombings and, more generally, the post-bombing investigation and pursuit of the Tsarnaev brothers. (Who are portrayed, probably quite accurately, as a couple of near-inept, stoner losers.) The plot unfolds nicely, there's a minimum of fake drama, and the pursuit and chase of the bombers lays out in a taut, compelling way. Everyone puts on his best Boston accent, of course. This is the story of the famous interracial couple who took their case to marry freely to the Supreme Court, and won. It rolls out chronologically and does convey admirably the toll the Lovings' forced exile from Virginia took on them. But it also proceeds somewhat laboriously, and the cast is made of up nobodies (except for Michael Shannon of "Boardwalk Empire" fame, who plays a LIFE photographer). I am often bewildered by Hollywood casting. In this case, they chose an Australian, Joel Edgerton, to play Richard Loving (which he does with utter taciturnity) and an Ethiopian-Irish actress, Ruth Negga, to portray Mildred Loving. I can't understand the casting of Edgerton at all; an argument can be made for Negga, whose combined heritage gives her an exotic look, much like Mildred, whose background was black, white and Native American. It's an important story and by no means a terrible movie, but you can definitely wait for it to show up on TV. Hmm. I have mixed feelings about this film. It was well done, and well acted. But the story's a downer and I didn't care for any of the characters, except Michelle Williams. 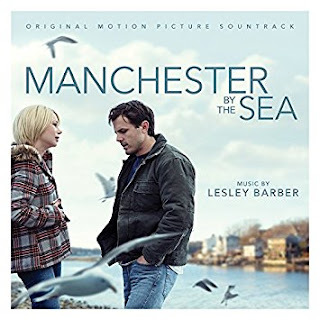 Casey Affleck did a good, Oscar-winning job of portraying a broken-hearted, broken-down loser who becomes the guardian of his nephew after his brother's death -- but the character failed to evoke much empathy, and the nephew is a rather dishonest, uncaring, unsympathetic person. So it was hard for me to care what happened to him. Also, given the current climate, I couldn't stop thinking about the allegations of sexual harassment made against Affleck. Michelle Williams was nominated for an Oscar for her portrayal of Affleck's ex-wife, quite a feat considering she was only onscreen for about 10 minutes (though she was very good in those 10 minutes). The screenplay, though rough in spots, was interesting. This is a movie for those who enjoy small, people-centered dramas. Finally got around to seeing this movie. It was enjoyable enough, but I wasn't bowled over by it by any means -- so much so that I was following Twitter on my phone for part of it. 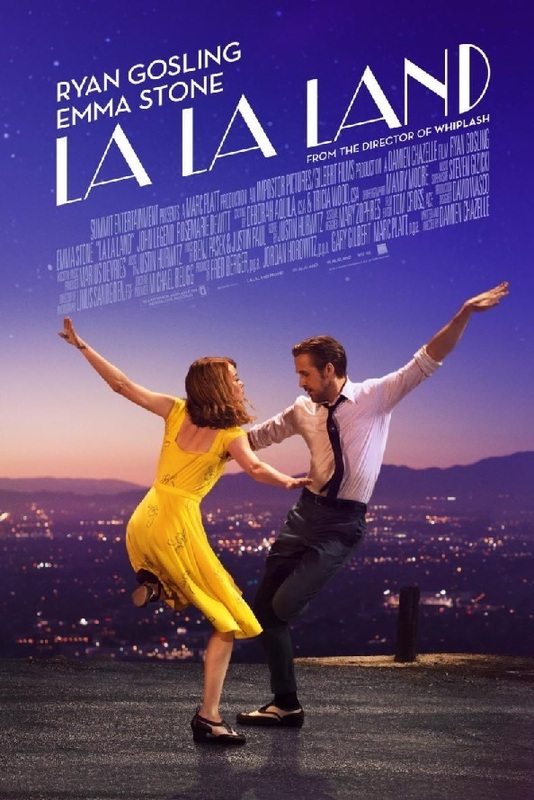 It starts off well enough as a zippy musical but sort of forgets that after awhile, until finally picking it up in a bravura way at the very end. 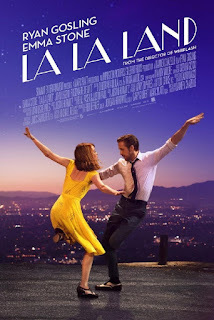 Emma Stone and Ryan Gosling make an attractive enough pair, but there's a lot of formulaic, clichéd feel to this film -- it's boy meets girl, boy loses girl, boy gets girl, and so on, complete with an obligatory "meet cute" in the very beginning. Pleasant, but not compelling. 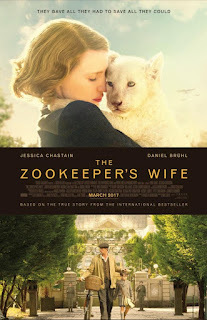 This tale of a Warsaw zookeeper and his wife who save hundreds of Jews from the Holocaust is based on a true story. The narrative is taut, the film-making skilled, though there's nothing path-breaking about the movie. Just a good, solid film. I took off half a point because I can't stand the German actor Daniel Brühl, cast here as the Warsaw couple's antagonist, a Berlin zoologist and SS officer. This is a delightful movie, based on the true story of the eponymous heroine. Very funny, and touching at times. 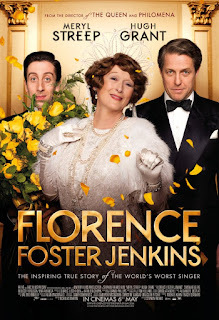 I deducted one-half star for the miscasting of the thinly talented Simon Helberg as Jenkins' accompanist, as he mostly reprises his Howard Wolowitz schtik from "Big Bang Theory." Hugh Grant stretches himself slightly beyond every Hugh Grant character you've ever seen. Sorry, I think Beatty and Dunaway had it right the first time. (And I haven't even seen "La La Land.") You know what I'd like to see, Hollywood? A black coming-of-age drama that doesn't involve tired tropes like drug dealers, crack whores and prison. The whole gay thing seems like just an excuse for a lot of ponderous dialogue, overuse of Steadicams, sighing violins and long, heavy, meaning-laden looks. This movie goes nowhere, slowly. 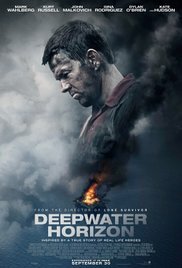 All around, pretty good disaster flick. Nice job of building tension to the inevitable . . . disaster. Solid performances, though that woman from "Jane the Virgin" plays her character three different ways . . . but I blame the script for being confused about who she really is. Points off for mumbling stuff in indecipherable Southern accents (I'm looking at you, John Malkovich), which made it hard sometimes to follow what was going on. The chief problem with this movie is that the drama is mostly contrived. The real-life drama -- the crash in the Hudson, and ensuing rescue -- was pretty short-lived. (I mean, the boats were right there.) 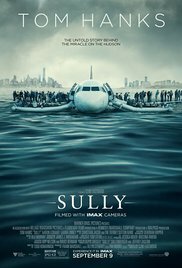 To fill the rest of the movie, the script spins a tale of the NTSB threatening to cashier America's "Hero of the Hudson." Not bloody likely. Otherwise, it's harmless enough, and Tom Hanks is . . . well, as always, Tom Hanks. 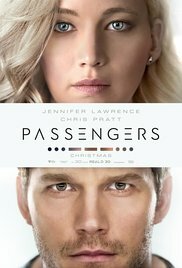 Let's give this movie a gentleman's C. It's really three or four movies in one, part "Castaway," part "Titanic," part I don't know what. Plenty of CGI to keep you diverted from the plot holes and not quite believable climax. Entertaining enough despite itself, as long as you're not plunking down $10 to see it in the theater. This is an excellent film. 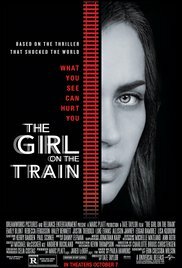 The screenplay was deliberately perplexing in the early-mid movie, reflecting the deep confusion of Emily Blunt's character. Speaking of Blunt, she gives an outstanding performance as a tortured alcoholic. That she wasn't even nominated for an Oscar is a crime. (She was nominated for SAG and BAFTA awards.) The movie carried the tension convincingly to the somewhat obvious-in-retrospect twist ending. Highly recommended. 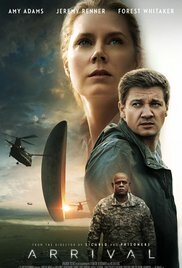 Well, count me in the minority (apparently) not bowled over by "Arrival." A lot of ponderous slogging in the dark with very little plot all to get to a dumb conclusion. Also, not really a stretch by Amy Adams (whom I love) -- not enough real acting called for her to have received a Best Actress nomination. Rather than a "thinking person's sci-fi movie," this movie is mostly just a lot of piffle. 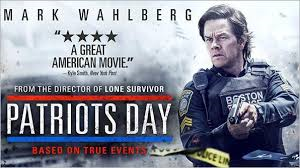 I have to say this film was a major disappointment. 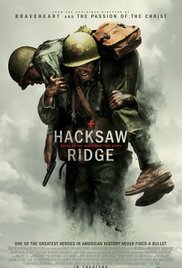 It ought to be called "Hackneyed Ridge." 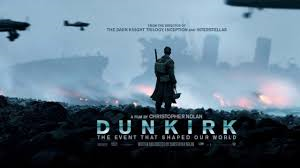 Every trite cliché from every World War II movie ever made, weird casting, and way, way, way too long. It is nearly unwatchable at times. The first half of the movie is saccharine, cheesy and interminable. The second half is better, but a real bloodfest à la Mel Gibson. I can't believe this epic fail was nominated for an Oscar. 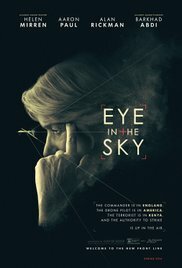 I honestly thought this was going to be just another action movie, or maybe an overwrought anti-war movie, but it turns out to be a rather smart film. While somewhat heavy-handed in places, it is, in addition to being intensely suspenseful, an interesting treatise on the political, military and moral ambiguities of the war on terror. Plus, Helen Mirren is just . . . Helen Mirren.